If you want to enjoy a smooth and easy piano removals experience, you should select a company that has been in business for a while and that has a strong track record with customers. 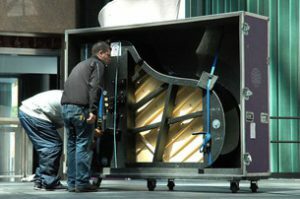 Look for companies that concentrate specifically on piano removals as well. If you can't prove that has a company has any experience with piano removals, they're probably not the strongest choice for you. 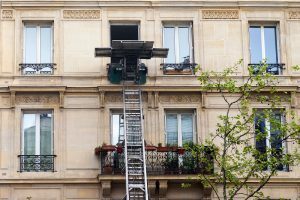 Furniture removal work and piano removal work are totally different areas. A capable furniture removalist isn't the same as a proficient piano removalist, after all. Piano removals are a whole new world. It's important for people to carefully select professional piano removalists who have accreditation. Make sure to only work with piano removalists who can accommodate all different types of pianos. There are many kinds of pianos out there. It can be smart to opt for a company that regularly handles standard upright pianos and massive concert grand pianos alike. Proper equipment is vital for any talented piano removalist. If you want to find a good piano removalist, look for one who has all of the right tools. There are designated removal cradles and trolleys that are made to accommodate pianos and pianos alone. These tools can be immensely helpful to professionals who are looking to safely get these instruments from point A to point B. If you want to give your precious piano the finest defense possible, you should look for removalist companies that have the best and most efficient equipment around. Training is crucial for anyone who wants to be a reliable and trustworthy piano removalist. It's essential to seek assistance from trained piano removal experts. If you want to make a sound choice, you need to recruit a trained removalist. Trained piano removalists have significant grasps of pianos' internal operations. They know how these musical instruments work. They also understand all of the technical components of pianos. Never rush your search for a good piano removalist. Take your time. If you want to enjoy a smooth, hassle-free and efficient piano relocation process, you have to be as thorough as possible. We're a shining example of a company that excels at piano removals work. We have provided customers with high-quality piano removal service for many years now. People can depend on our professionals to provide them with the in-depth and careful piano removal assistance they deserve and need. If you're looking for the highest degree of peace of mind, you can lean on our company without a second of hesitation. If you're in need of the finest and most trustworthy piano removals service in all of Perth, our company can come to your rescue. Contact our business as soon as possible to learn more about our world-class professional piano removals service. Our removalists are a group of experienced and knowledgeable professionals who have a passion for safe and secure piano relocation. They understand the importance of your piano. They know it means everything to you. They also have significant piano removals experience on their sides. Call us as soon as you can to request a quote for our first-rate piano removal work in Perth.